Have you planned on things going wrong in your tech life? They will. Better to plan on it now and be ready. And if you are sending a student away to school with a laptop, plan now on it breaking or getting stolen or some other catastrophe. In July we talked about backup options. Have you started using one yet? Have you setup your student with an automatic, offsite backup system so they do not have to think about it? You will need it. That is almost a certainty. What about anti-virus, for the the PCs at home and those going to college? Get them installed now, and if there is a subscription, make sure it is paid through the end of the school year. For the college students, check the school’s bookstore or website. Often schools have requirements for anti-virus software for all PCs that use their networks, and site licenses to provide it to students for free. Before you buy any software for students, check with the university. Besides site licenses that provide free software to students, they also have academic discounts for other software often at vast savings. For $20 a month students can get a full range of Adobe software products or a year (and then just $30 a month). The package includes Acrobat, Premiere, Photoshop, Illustrator, After Effects, Audition and many more. These are professional grade software packages. Premiere was used to edit the movies Deadpool and Gone Girl for example. They likely have discounts on Microsoft Office subscriptions and also for specialized software certain majors might need. Architectural, engineering, mathematics, physics, and other fields need specific and powerful software that would be costly if it were not for student discounts. Some of these discounts are available to teachers and staff of colleges, universities and school districts as well. What happens if your PC breaks or goes missing? With a little planning, you can have both a short term and long term solution set to go. Let’s assume repair is out of the question. If your PC is mission critical to your life, and it will be for a student, try and have a backup PC set to go. That can be an older PC still in workable condition, or one used by another family member whose need is not mission critical. 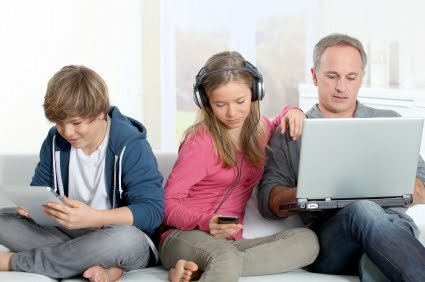 Should a student’s laptop go missing, you can express ship out the high school age siblings laptop, and the high schooler will just have to share Mom or Dad’s PC for a while. Or maybe you are fortunate enough to have funds available to buy a new PC direct from Amazon and have it shipped direct to your student. If neither of these solutions are available, or you need a PC while waiting for a replacement, know where one is available for your use. Colleges have PC labs. Here we have PCs available for use at the library or for rent by the hour at Fedex Office. Students should be in the habit of not only saving current projects like papers-in-progress to their PCs but also to a cloud account, or to a USB drive. That way, if they have to use a public PC to get a paper completed, they do not have to start over. And they should know how to recover a files from their cloud backup system. What if your phone goes missing? For a student, not having a phone can be a safety issue. There are apps to help keep a student safe as they walk across a dark campus at night. This week’s link post at www.FamilyTechOnline.com has a link to some of those apps. Your replacement options are the same as for a PC: buy a new one immediately or borrow someone else’s whose need for a phone is not as critical. If you use your phone for business, then as a cost of doing business, you should have funds in reserve to buy a new phone immediately. This is why I use Google Voice. My phone number is not tied to a physical phone. If I have to replace my phone in a hurry, I can easily have calls sent to the new phone. If I had a small business, I’d only give out my Google Voice number. Plan now on your PC or phone to break or go missing. If it is going to mean borrowing a replacement device from another family member, let that family member know now why that might happen, and the importance of them being part of the solution. Taking away a teenagers phone or PC to help out their college age sibling will never go smoothly, so lay the groundwork early.